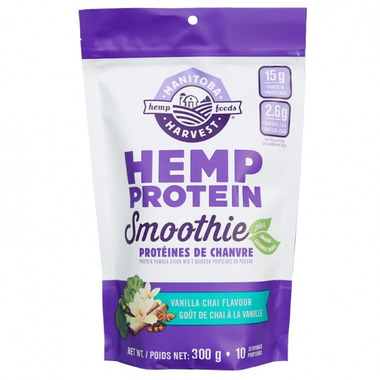 This Manitoba Harvest Hemp Protein Smoothie combines the amazing taste of vanilla chai, with a delicious and creamy blend of HempPro 70 and organic harvest greens blend (spinach, kale and broccoli). With only four ingredients and 15g of plant-based protein per 30g serving, this Hemp Protein Smoothie is a great choice to help fuel your busy day! Ingredients: HempPro 70 (hemp protein concentrate, natural plant extracts), organic coconut sugar, organic harvest greens blend (organic spinach, organic kale, organic broccoli), organic vanilla chai flavour. I love this Protein Smoothie. I just mixed it with water because I am trying to reduce my calorie intake and it was still drinkable, not gritty, it mixed very well in my blender cup and it didn't have that overly sweet taste that other protein drinks have that are sweetened with stevia. I can just imagine how good it would tasted mixed with milk or another non dairy milk replacement. I also have the berry flavor but haven't tried that one yet. 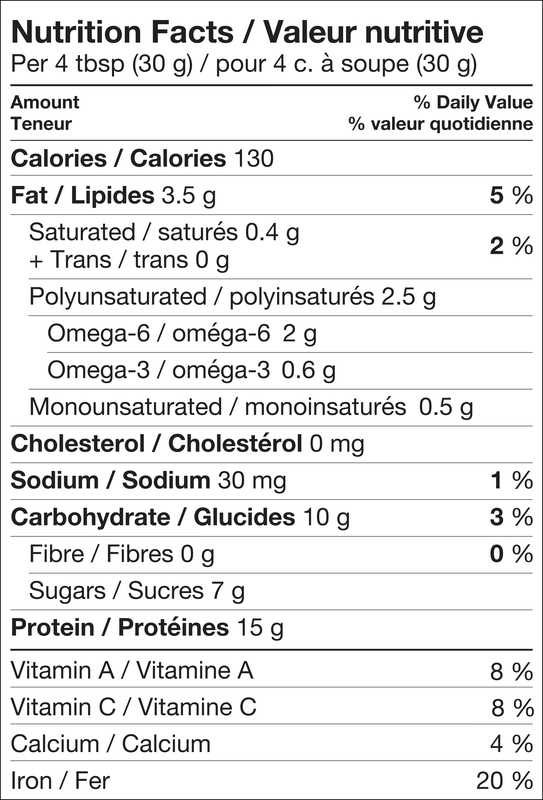 I plan to stick with the Manitoba Harvest...best tasting protein drink by far!